A series of short, animated videos for Australian history students is taking us back in time to reconsider key people and events in our colonial history. Inspired by Defining Moments in Australian History, the videos were written and narrated by David Hunt, author of Girt: The Unauthorised History of Australia. 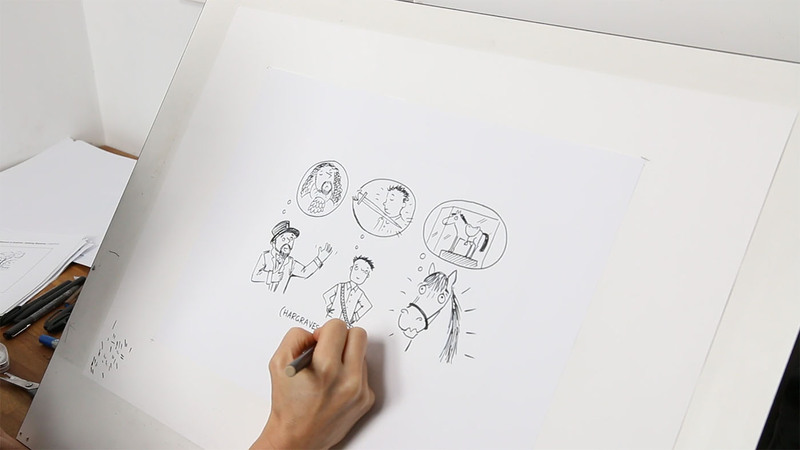 They were brought to life with live-sketch animation by Melbourne's Sketch Group. This new classroom resource has strong curriculum links to years 5 and 9 history. 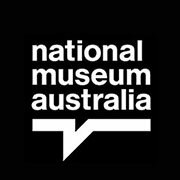 The videos explore the Victorian gold rush, Eureka Stockade, the introduction of the secret ballot, women's suffrage and the Castle Hill rebellion. 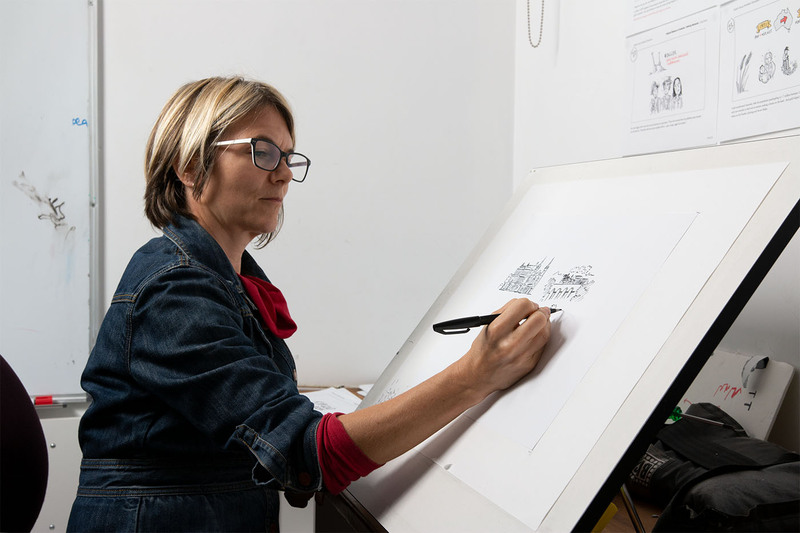 Illustrator Lucinda Gifford at work in her Melbourne studio. 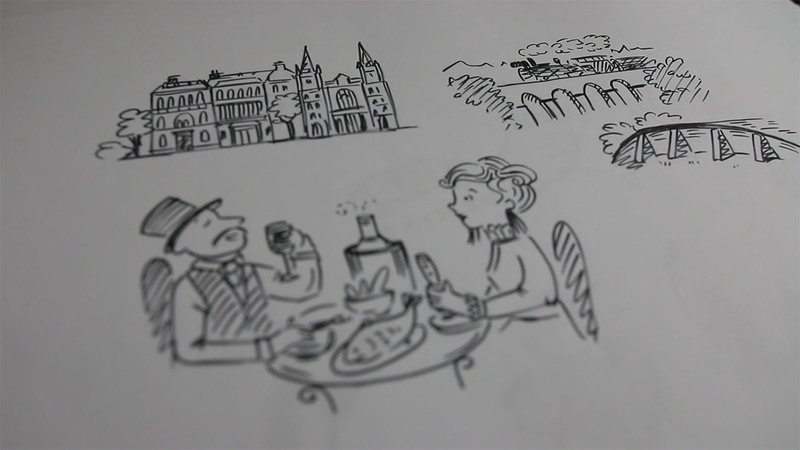 Lucinda is a children’s book illustrator and author. 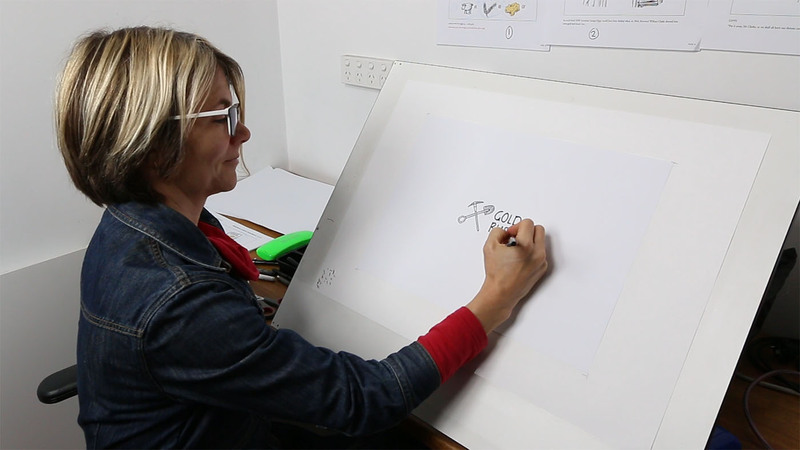 Lucinda sketches the title screen for the gold rush video. Only her hand and the drawing are visible in the finished product. Filming Lucinda’s live sketch. She uses the storyboards on the wall to guide her drawing. Scene based on the roles played by John Lister, Edward Hargraves and his horse, in the discovery of gold in Australia. 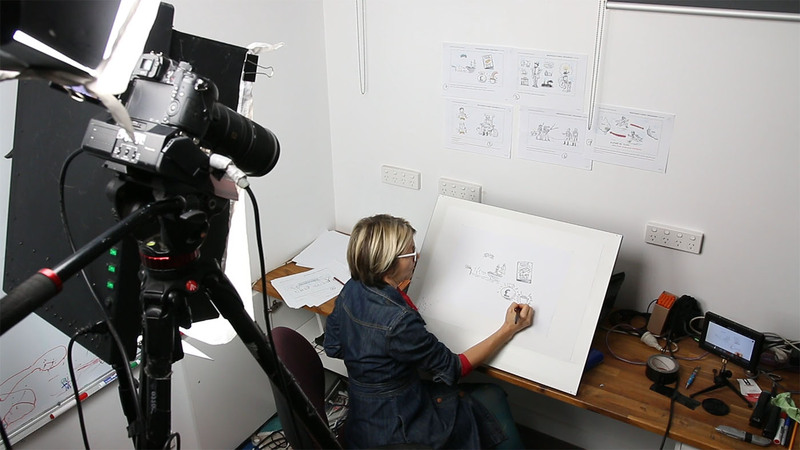 Footage of Lucinda drawing is sped up and synced with David Hunt’s narration in our videos. Sketch illustrating the wealth, infrastructure and better standard of living created by the gold rush. Hunt’s irreverent storytelling uncovers forgotten facts and gives an updated perspective on events like the ‘mansplaining’ Edward Stirling taking leadership of the Women’s Suffrage League. Anecdotes about dummy-spitting politicians and a cameo from the well-known ‘democracy sausage’ illustrate the fun in the facts behind the introduction of the secret ballot.